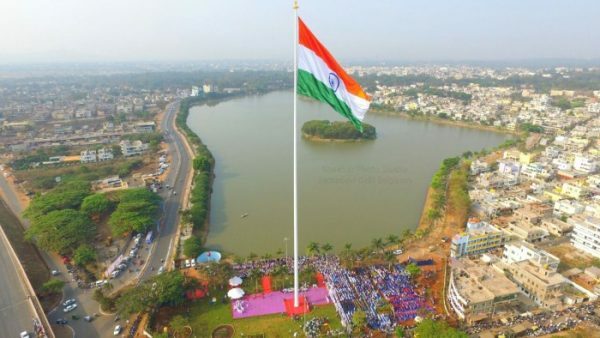 Belagavi was in the record books for installing the tallest nation flag here but now the standing committee chairman Sarla Herekar has declined to approve the use of funds from the corporation and she said as this was installed using the special 100 crore funds, the expenditure should be done under the MLA funds alone. The flag was torn on 5 occasions and the five flags supplied have now been exhausted, to get one more flag atleast 1.3 lakhs would be needed. The corporation cannot spend so much each time the flag is damaged, the committee said. However Smt Herekar has agreed to pay 57 lakhs for the expenses of Indira Canteens but the corporations does not have money for the national flag. Now who will take care of this white elephant is the question ? Chnage the Structural design of the flag itself.